Philippe Bergeron has been invited to speak at CTN'14 in Los Angeles, on the panel "Animators Taking on New Roles: 3D Projection Mapping A New World." 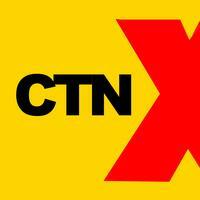 CTN brings together top professionals from both the traditional and digital worlds of animation. The panel will be on Sunday, November 23rd, at 5:30pm, in Hall C, at the Marriott Burbank Airport Hotel.